Kids Like To Move It! Have fun and get active during winter break! Schools may be out, but Kids Like to MOVE IT! Are you ready to move it? Are you ready to groove it? Are you ready to prove to yourself that you can do it? 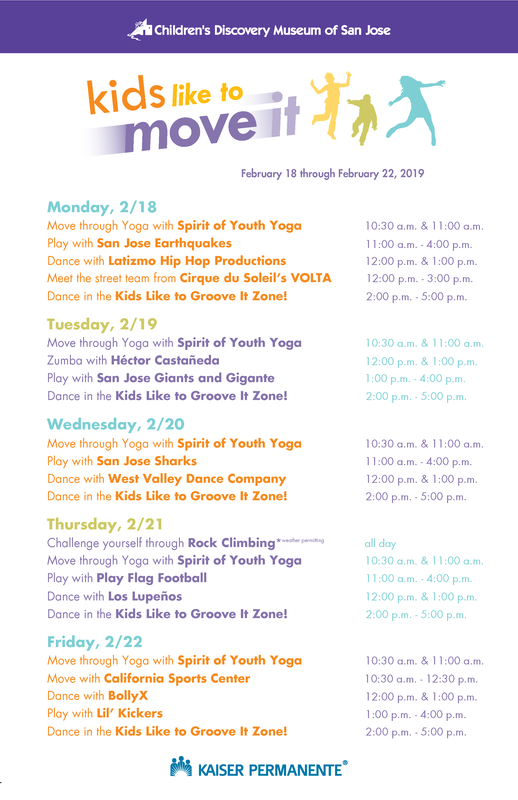 Join us for a week full of fun activities that will get you moving, dancing and challenging yourself to learn new skills!